what a very pretty card! I don't think it's missing a thing. we all have those sets that we will never get rid of don't we? :-) Have a fantastic week! Very neat card! I love that the sentitment is the focus. The flowers are awesome. 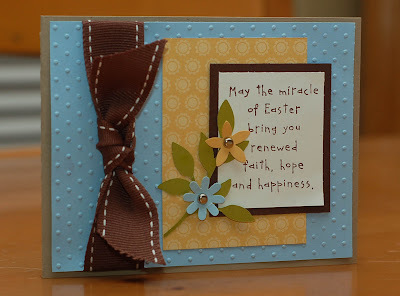 I think this card is perfect the way it is... super job with the colors and layout! What a pretty card. Nice colors. Very pretty card! Some of my favorite colors.